This has to be one of my favourite products ever from essence & I have tried quite a few over the years. It’s compact, travel friendly and the 3 shades included are just beautiful. You get one highlight and two blush shades. The swatch I did of the highlighter simply doesn’t do it justice, the powder feels finely milled, you get very little fallout and it just gives you that subtle healthy glow. I like that it is a highlight you can wear as part of your everyday makeup, it isn’t super dramatic but suits my makeup style and I’ve been wearing it most days. The other shades in the palette are beautiful peachy blushers, the define shade has a touch of sparkle to it and immediately reminded me of NARS Orgasam. It has that peachy, coral feel with a subtle gold highlight (not glittery in the least). The middle sculpt shade is a darker peachy pink and is matte it adds a lovely pop of colour. So this palette is well worth checking out. I think it comes in another colour option too if this Play it Peach trio isn’t right for you. I have tried a few cushion foundations and blushers this past year and it seems this Asian inspired beauty trend is set to stick around a little while longer. It is nice to see affordable brands releasing their versions and essence have added a cushion eyeliner to their range for 2017. I must say I was on the fence about this product because I’m very loyal to my liquid liner pen but I actually found this to be surprisingly easy to work with. It comes in a small jar with a sponge (cushion) soaked in the product and you dab your brush on to the cushion and viola you are ready to apply. It was so smooth and precise to apply and I managed to get a very neat cat flick without the product bleeding in to my creased eyelids. The product was very moist (sorry if you don’t like that term) so just make sure you lightly dab your brush on the cushion, so it doesn’t dispense too much product. If like me you like your liner to be very black you will love this. It dries down to a semi matte finish and it has good staying power, it didn’t smudge but it isn’t waterproof so just be mindful of that. After wearing it for the day it did show a little wear and my flicks had worn slightly but it still looked OK and for an affordable version I am very impressed with how easy it was to apply and how well it lasted. This is currently only available in black but I am hoping essence release a brown & a fun vibrant purple too. I’d say the products I recommend the most from essence are mascara’s. They always have such a huge selection and they rival any high-end brands so I was excited to try this new release for Spring / Summer. It promises 18 hour wear and voluminous lashes, I love my lashes to look long and healthy and I have to say this mascara is ticking all the boxes. The wand is made out of synthetic hairs and is a great shape for coating every single lash and being able to get right into those shorter inner corner lashes too. Because this mascara has fibres it is so good at adding length and volume without looking clumpy or heavy. I didn’t experience too much fall out, I’m a nightmare for rubbing my eyelashes and this stood up pretty well. The pigmentation is very black and I have been wearing a single coat as my everyday mascara but you can add another if you want to build up a more voluminous effect. There is also a curl & hold version of this mascara, which sounds great for creating more of an evening look. Like I said you can’t go wrong with an Essence mascara, so make sure you check them out. These live up to their name & really have that wet look. They are very glossy and pigmented on the lips I wouldn’t say they are the most long wearing but they look vibrant and pretty. The applicator is a nice shape and tapers to a point which makes it easier to apply and get a neat finish. Due to them having such a wet look they don’t wear too long on the lips, I found 2 – 3 hours tops and then I had to reapply. I’m not a massive fan of lipgloss but I can appreciate how pretty these are and how comfortable they feel on the lips. I do have two of the more vibrant shades but if these are not your go to colours fear not because these are available in so many shades, from subtle neutrals right through to more bold pinks and purple shades. I think I’m going to pick up more of an everyday shade like So Into It! and wear it over my favourite Urban Decay Lipstick in Back Talk, I think the two will make a gorgeous duo. Let me know what colour you have your eye on? Oh & I can’t believe these are only £2 each. This is currently on my toes and looks perfect for Spring / Summer. All I need now is some warm weather so I can wear some cute sandals. This range of polishes promise to deliver vibrant colour with just one coat, I have to say I did apply two but that is just because I like my colour to be super vibrant and I am terrible at applying nail polish. I think I could have got away with one coat though. The formula was easy to work with and applied streak free and dried very quickly too. I already have my eye on the mint shade from this collection too. You can’t go wrong with mint for the warmer months. 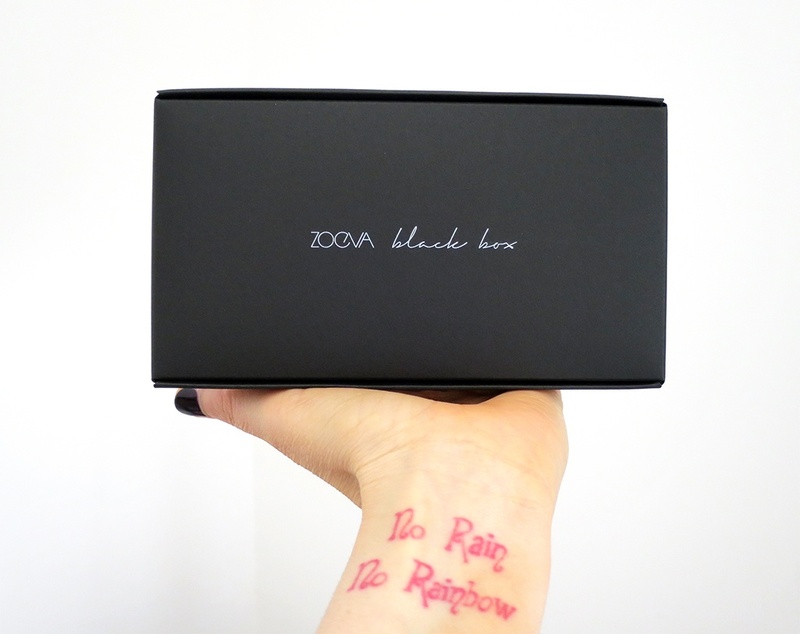 This is Zoeva Black Box Collection* is for all the eyeliner addicts out there (me included). When it comes to my wardrobe I very much lean to the All Black Everything way of life & I feel like this Zoeva Eyeliner Collection mirrors my lifestyle. The Zoeva Black Box is a quartet of four amazingly pigmented eyeliners in one iconic shade – BLACK! This collection almost sings out to me. I love the simplistic packaging, the almost rough texture of the cardboard and the handwritten style font. This collection is like your very own eyeliner wardrobe. black eyeliner is such a staple in anyone’s beauty wardrobe and having four different formula options means you’re able to create lots of different looks and finishes. Let’s face it black never goes out of style. If there is one type of liner I wear most often it’s a liquid liner & this Zoeva one is inspired by a classic calligraphy. It has an inkwell packaging which you give a little shake before taking the brush out to make sure the brush has enough product on. It has quite a short nib but it gives you amazing control and its ideal for achieving a very precise finish. This has fantastic staying power & after you have applied it, it doesn’t smudge or transfer. It is an intense black which dries down to a matte finish. This is such an essential product to have in your makeup bag. Its not the most intense black but it has a lovely creamy formula which makes it effortless to apply. Its a great eyeliner for using on your waterline, to define your eyes. Although it has a soft formula it still has a long-lasting formula and the colour doesn’t fade. Just a great product to throw in your makeup bag and one that always gets a lot of use. I’m most comfortable using this style of liner, it reminds me of my much used Pixi Lash Line Ink. This has an ultra long, flexible nib which gives you ultimate control to achieve an on ‘Fleek’ cat eye look. The nib is flexible but not to the point where it has no structure, whether you want a delicate line or more of dramatic bold strokes this Cat Eye Pen is good at creating both. The black colour is very intense and easy to apply, it doesn’t drag or go patchy. The colour has a beautiful rich glossy finish and it is a liner you can trust to stay in place and bold in colour all day. This is the waterproof offering & it’s a great option to have in your makeup collection. This eyeliner pencil has a very pigmented and creamy formula which makes it so versatile. It’s great for giving you a defined, precise look as well as being easy to blend and smudge out to create that classic smokey eye effect. This really reminds me of my much loved Urban Decay’s 24/7 Glide-On Eye Pencils and I have to say its just as pigmented as the perversion one. I have really liked using this Zoeva one and it has incredible staying power, after a couple of minutes, it’s there to stay (unless you have a very good cleanser). This gets two thumbs up from me, its very good quality and easy to use. The Cat Eye Pen along with Graphic Eyes the are my absolute two favourites from the collection but they’re all different and give you such a selection of finishes and styles. I think this would make a fantastic gift for an eyeliner addict or just to add to your makeup collection to ensure you have all eyeliner bases covered. I’m very impressed with this collection & love everything from the less is more minimal packaging style to the selection of eyeliners and the fact they’re all black. It’s like Zoeva has created this collection just for me & it’s exactly what I would have picked given the chance. Zoeva just always seems to deliver on quality every time whilst still being affordable. 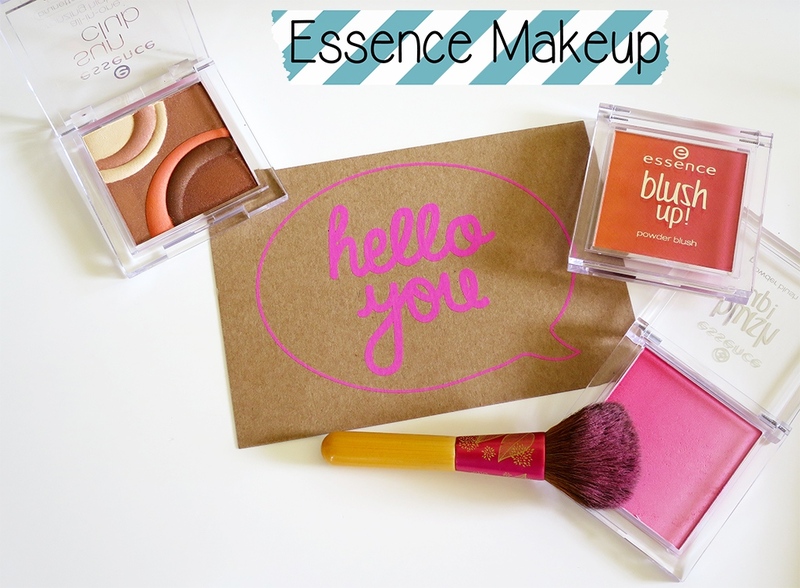 I’m quite familiar with Essence makeup as I lived in Germany for a number of years, where it is a very popular affordable brand. It has a huge following in Europe and since they first launched a couple of years ago in the UK they have created quite a buzz. Essence are known for having very on trend collections and as I said a very affordable price point. I have written about their UK launch if you’d like to read about it. I thought I would share with you 3 of my current favourite products. 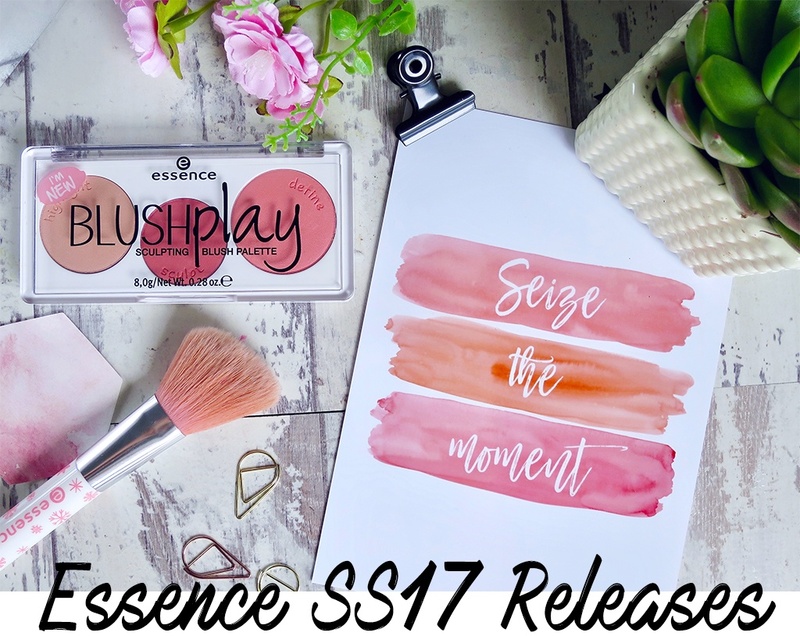 These three powder cheek products from Essence are all gorgeous, I have two blushers and one bronzer to share with you and they’re all perfect for creating Summer makeup looks. Let me know which one is your favourite of the three. First up is Blush Up in Heat Wave £3.50 which is just the most gorgeous peachy pink, I love that this blusher has a ombre gradient effect and you get 3 different shades going from a stunning orange to a pretty pink. You can either swirl your brush to pick up all three shades or delicately sweep your brush down one shade to pick up that specific colour. I think the colours are pretty either way they’re pigmented and blend nicely too. Not too powdery or chalky and all three colours are matte so no shimmer in this at all. Another of the Blush up Blushers in Pinky Flow £3.50 has the same beautiful ombre gradient effect as Heat Wave but this one is a trio of pink shades from a deep pink to a light soft pink. Pinks blushers are always a favourite of mine and this one doesn’t disappoint, this really brightens up my makeup look and gives my skin a gorgeous healthy flush. This lasts about 6 hours on me, so I think a good amount of time & as with the previous blush its easy to blend and nicely pigmented. I am a huge fan of these two blushers & I like the packaging, its clear & simple and the product looks really pretty too. There is no shimmer in this blush either but the lightest shade of pink does give a highlighting effect on the cheek, which looks really flattering. Lastly, the All in One Sun Glow Bronzer* gives you that healthy sun kissed illuminating glow. It has such a lovely mix of shades and it also has some shimmer in it too which I like & its not too OTT just a hint. This bronzer gives a subtle warmth to your skin and is the perfect way to pretend you have been on a Summer holiday without leaving the country. I have also used these individual shades as eyeshadows & they work really well, especially for a bronze smokey eye. Essence can be found online at www.wilko.com & in a selection of their shops. Let me know if you have tried anything from Essence and have any recommendations for me.